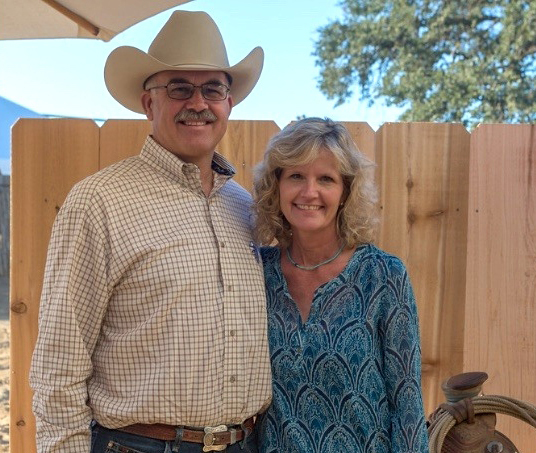 Kirby and Kaitlin Swickard of Five Dot Ranch don’t mind if you call them cowboys, even though they are cowgirls. The two young women have joined the Five Dot Ranch family business, and represent the latest generation of the Swickard family that has produced grain and livestock in California since the 1850s. Today, Kirby, the eldest, does outreach, catering, and human resources for the family business. Kaitlin does marketing and sales. Both earned degrees in agricultural business, Kirby at Chico State, and Kaitlin at Cal Poly. Another daughter, Lindsey, teaches FFA at Elsie High School in Santa Rosa, and the youngest, Logan, 20, is a student at Butte Community College. 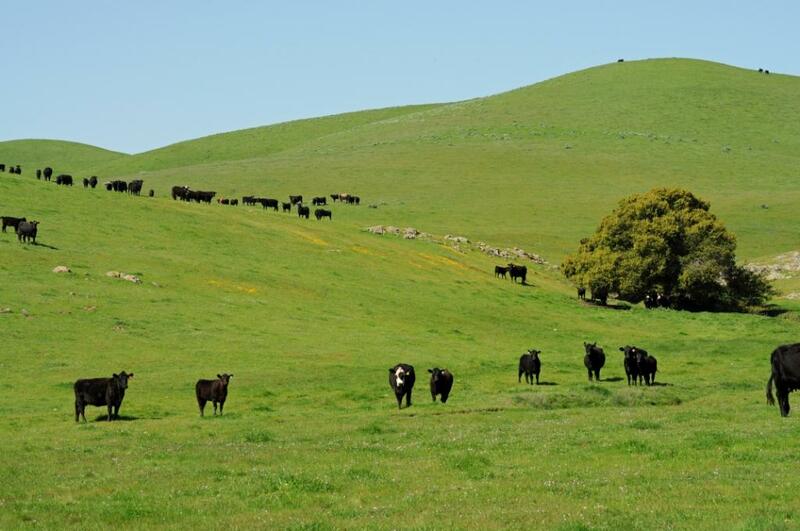 Five Dot Ranch runs cattle at the King-Swett Ranches, and has done so since the early 1980s when the property was still owned by PG&E. They have been part of the Solano Land Trust family for years, and at a recent Solano Land Trust business breakfast, Kirby and Kaitlin gave a short PowerPoint presentation about the business while Todd watched proudly from the audience. Five Dot donated all the beef served at our recent Sunday Supper at Joyful Ranch, and Todd was a spotter during the live auction. In addition to the cattle operation that produces beef 100 percent hormone and antibiotic free, the family runs the Five Dot Ranch butcher shop and Five Dot Ranch Cookhouse in Napa. Theirs was one of the original businesses in Oxbow Market. “In ten years, we went from being full-time ranchers to being full-time ranchers and restaurant owners. It’s been a steep learning curve,” Kirby said. We are proud to play a role in this family business, and happy to share their inspiring story with you.